How Should We Read the Qur'an? How do you benefit from reading the Qur'an? Additional Notes - Important message! The Qur'an is the word of Allah SWT and is a message for mankind until the end of time. It has an essence and spirit which when taken properly, has the potential to change the world. The Qur'an is so much more than laws and commands of do's and don'ts. The more we analyze it the more we realize its depth. The Qur'an is divided into 114 surahs or chapters, which are in turn divided into 30 equal sections (each, a juz). Unlike a poem or a novel which has introductions, bodies and conclusions, the layout of Qur’an is different. It is a series of messages, lessons, regulations and reminders, and therefore, the reader may initially find it disorienting that the Qur’an appears to jump from topic to topic, especially in the longer chapters. The Qur'an is not like a storybook, it contains signs, messages, scientific facts, historical accounts, rules and injunctions. 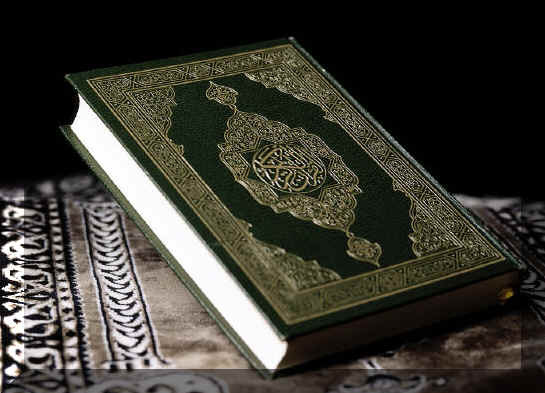 Unlike a novel, the Qur'an is sparing in details, and only lays out the facts necessary. The chapters, and indeed most verses of the Qur'an can be read independently of each other, unlike a book where a plotline continues from the previous chapter or a textbook where one has to understand a chapter first before progressing to the next one. This can be explained by the fact that the Qur'an is not laid out in chronological order in the sequence it was revealed. The compilation of the physical Qur'an (i.e. the arrangement of the chapters) is different from the order that each of the verses was revealed. The Qur'an was not revealed in one shot, but rather gradually over 23 years, each revelation being a response to a particular situation or circumstance. They were revealed, not chapter by chapter, but rather a few verses each time (with the exception of Surat Al An'aam which was revealed in its entirety). Hence, each chapter is made up of different revelations, and are not necessarily laid out in chronological order. For example, the first revelation is found in the 96th chapter. The revelations are divided into Makki (verses revealed during the initial thirteen years of the Revelation in Mecca) and Madinati surahs (verses revealed in Madinah for the following ten years after Prophet Muhammad SAW migrated there). The Makki surahs cover roughly 2/3 of the Qur'an. They reinforce the message of the essence of faith - starting with the introductions of the capacity, power and the oneness of the Creator. These surahs also introduce the reader to the pillars of faith, and inculcates the belief in the unseen, such as paradise and hell, the angels, the jinns, and the Day of Judgment. The Makki surahs also introduce the reader to the prophets and people of the past. It describes the nations that rose and fell, the oppressors and believers, and behaviours to be emulated or shunned. The Makki messages are repetitive, at times they describe the same stories but from different angles. The repetition heightens the emphasis of the oneness of the Creator, and all other elements necessary in order to instill faith in the heart of a Muslim. The balance 1/3 of the Qur'an, which was revealed in Madinah, deals with rules, regulations and injunctions that a believing Muslim should implement in his life and in society. The Madinah verses complete the message that Islam is not merely a set of worship and beliefs, but is also a complete way of life. All copies of the Qur'an in the world are identical, sequentially, verse for verse, word for word, letter for letter. However, the translations may differ, as Arabic is a complex and rich language, rendering perfect translation into other languages impossible. The Qur'an has been unchanged from the time it was first revealed, and Allah SWT has guaranteed that it will remain unchanged until the end of time. It contains no errors and is absolutely perfect from linguistic, historical, factual, scientific and even mathematical point of view. If you are learning how to recite the Qur'an, do so with the help of a teacher so that your pronounciation and diction (tajweed) are correct. Do not give your own interpretation to Qur'anic verses. You have to ensure that you receive the correct knowledge and understanding of the Qur'an. Look for a reputable translation of the Qur'an and authentic interpretation/explanation, as prepared by the early scholars. Do not rely on your own personal and often corrupted understanding. The Qur'an is like an instruction manual for mankind. Like complex electrical goods which come with their own instruction manuals in order to make the products work at their best, the Qur'an is a guide for humanity. It is not just a collection of sacred texts to be ritually memorised and recited, the Qur'an is a guide, a map and at times, a prescription for humans, as ordained by the One which created us. Given the significance of the Qur'an, and given further that these are the direct words of God, we should respect what we are about to read by according an amount of physical and spiritual preparation first. Physical preparation: involves being in a state of cleanliness and purity, for example, dressing in clean and modest clothes, and to purify yourself physically. Spiritual preparation: involves being in the state of mind that would help the reader obtain the divine benefit of the messages. The first prerequisite of personalizing Qur'an to us is absolute humility and humbleness to Allah SWT. The more we are poor to Allah and the more we are aware of our ignorance and acknowledge our need for Allah SWT and His divine guidance, the more we will be granted, by the will of our Creator, the in-depth understanding of the Qur'an. Also important is the sincerity and honesty of the reader. In all acts of worship, and in fact, in every single act that we do, we will be rewarded based on our intention. Hence it is a basic principle that we should set our intention first before embarking on any undertaking. The Qur'an is no different. The benefit the reader will derive from it will be based on the reader's intention. Before you read the Qur'an, remember that the Qur'an reads you first, reads what is in your heart, and responds accordingly. Hence, what is your intention when you read the Qur'an? To improve your recitation or memorisation? To reach the end of the chapter within a certain time? To find a solution to your problems? To improve your relationship with God? To achieve some peace and tranquility? Whatever benefit the reader sincerely hopes to derive from the Qur'an, that is what Allah SWT will grant to the reader. Hence the reading of the Qur'an should be preceded by a conscious and sincere intention. There are various approaches to reading and reciting the Qur'an, depending on the methodology employed by the teacher. For example, if the aim is to learn the Arabic recitation, the reader is generally directed to start with the final juz, as the chapters and verses in the final juz are relatively short and easy to recite. If the intention of the reader is to grow spiritually, and to use the wisdom contained in the Qur'an as the tool and means to enable such growth, it is best to read the Qur'an in the sequence it was revealed. This requires some extra effort on the part of the reader to discover the exact sequence of revelation, however there are many online resources which provide this information. If the reader is unable to obtain such information, or if the information is incomplete or unsatisfactory, then the reader can instead start with any of the Makki chapters (any good translation of the Qur'an will clearly indicate whether the verse originated in Mecca or Madinah). It is highly recommended that the beginner avoids reading the Madinati chapters unless he has a firm grasp of the messages contained in the Makki chapters. For the serious reader who wishes to understand the Qur'an for the sake of developing his iman or faith, it is also recommended that together with the revelatory sequence, the reader accompanies himself with a reliable biography of the Prophet Muhammad SAW. The reason behind this is that most reputable biographies will also quote the key revelations which occurred during significant events of the Prophet Muhammad SAW's life in the course of spreading of the message. This gives the reader a more detailed context surrounding such revelations and allows the reader to grow and develop his faith and knowledge with each revelation learnt. The reader ought to realise that every time he reads the Qur'an, it is as if the words are addressed directly to him. Allah SWT has chosen for the reader to be among those blessed ones who have heard His message. Hence, he should make an effort to understand what he is reading. Otherwise, it's like accepting a doctor's prescription without taking the medication. Through the Qur'an, the reader will be introduced to people of past civilisations - the prophets and their people, the believers, the disbelievers, the oppressors and the oppressed, the ones who are elevated and the ones who are cursed. The Qur'an describes in no uncertain terms of the future laid out for the people depending on their levels of obedience to Allah SWT. The more one reads the Qur'an, the more the reader will recognize his own characteristics, and those of the people around him, described in it. The Qur'an describes various categories of people, and lays out the choice to the reader in terms of the path he should follow for salvation in this life and the next. It tells the reader in no uncertain terms, the repercussions or rewards for his behaviour, in this world and the hereafter. The reader will also be introduced to the unseen world, those of angels, whose characteristics we should aspire to, and those of the iblis, our sworn enemy, whose traits we should renounce. Finally, the Qur'an prescribes the regulations, rules, limitations and codes of conduct that all believers should adhere to. Mostly, the Qur'an teaches us to accept the oneness of Allah SWT, thank Him and to realize His unlimited bounties on us. Due to the richness and complexity of the Qur'an, with intricate layers of meaning, the significance of it might be obscure to the reader. There is an added element to it - The comprehension the reader achieves from the Qur'an is what Allah SWT intends him to understand. In other words, the reader sees what Allah SWT allows him to see, depending on his purity, condition and sincerity. Different verses of the Qur'an impact different people in different ways. So, sometimes, a reader may understand every single word ... but may not comprehend the meaning until years later. Or, if Allah SWT blesses him with vision, the reader can comprehend the meaning of a verse immediately. Or, a reader can read the same verse at different times, and each time, get a different meaning, depending on his circumstances and the state of his heart. Or, if Allah SWT chooses to veil the heart of the reader, the reader can read the Qur'an again and again, but never understand the message or attain true comprehension of its meaning. The journey of understanding the Qur'an is a personal one. Allah SWT will make the reader understand its message that is meant for him at a certain point in time. and spiritual wisdom the reader has. Note: Most versions of Qur'anic translations categorise between the Makki and Madinah surahs. It is recommended that the reader attempts to understand the Makki surahs first before proceeding to the Madinah surahs. The messages in the Makki surahs are more directly associated to matters of establishing faith, are presented in short and concise verses. See "Additional Notes" at the end of this article. Hint: If the meaning of a verse is hard to understand at first, try reading a few verses immediately before and after. This will put the verse in context and will make it easier to understand. The Qur'an enables us to reflect internally and externally, reflect on the larger world affairs, and enables us to act or react according to this reflection guided by the meaning and wisdom of the Qur'an. The more we know and manifest this knowledge in ourselves, the more it enables us to pursue the promises of Allah SWT: the happiness and dignity of this life and the hereafter. This can be achieved if we genuinely try to live the message of the Qur'an. We have to understand that the Qur'an is not for entertainment, calligraphic decoration or beautiful recitation. It is about comprehending and living out the messages within. It is Allah SWT's promise that if we elevate the Qur'an (by carrying the message of the Qur'an in our hearts, spreading the message and living the message), Allah SWT will grant us dignity. If we disgrace the Qur'an (by denying the message, or by not implementing it in our lives), we will surely be disgraced. Reading the Qur'an is not a race to get to the end of the verse. Rather, take time to comprehend, take time to pause and reflect often, and then implement and live the messages the best you can, bit by bit, and verse by verse. but how much you live it. The Qur'an is a mirror which will allow you to see yourself and the outside world with a clear accurate vision. If you really want to know who you are, where you are, what to do and not to do, and where to head in your life-read the Qur'an. Do not leave the Qur'an to gather dust or as an adornment on your shelves. Instead, honour the words of God by treating them as how they were intended for mankind - to be read, comprehended and used as a personal instruction guide to life. The Qur'an is divided into two main portions, the Makki surahs and the Madinah surahs. As described, the main intention of the Makki surahs is to instill the awareness and acceptance of the existence, supremacy and oneness of God in our hearts. From the very first revelation, which reminds us to "Read, in the name of your Lord who created you..." [v 96:1] The focus of the Makki surahs is to give an understanding and insight to your Creator, the one who owns all that is in heaven and earth. It emphasizes the true hierarchy and purpose of life - basically that we were all created beings, and created for the purposes of submission to the will and command of God. So important are these messages that they were relayed over and over again for 13 years. They are revealed, repeated, rephrased, emphasized, for the purpose of reminding us and instilling the belief of one God, or monotheism, in our hearts. The Makki surahs rarely impose regulations, but rather, point us repeatedly to the core of the message - that there is only one God and that we should submit to Him. The Madinah surahs deal with regulations and rules - for example rules of inheritance, governance, warfare, marriages and divorces and conduct of business. If we follow the revelation of the Qur'an in sequence, we will understand that the Madinah surahs are aimed at the people who have accepted and who carry the messages of the Makki surahs in their hearts. If one is not convinced by the oneness of Allah SWT, then what is the point of progressing to the next stage and implementing the rules and regulations? Hence, before applying the Madinah surahs, the message of "La ilaha il-Allah" (there is no god but Allah) has to be entrenched firmly, beyond conviction, in the heart of the believer. However, people have a tendency to do this in reverse - they skip directly to the Madinah surahs, and immediately impose the regulations on others - without a concrete understanding of what the regulations are meant to achieve, and worse, when their conviction and faith in Allah SWT have not taken root in their hearts. This is a dangerous practice - my recommendation is, follow the Qur'an in the sequence it was revealed, and imitate it in the same sequence. Information of the sequence of the revelation of the Qur'an is available from many online resources. The Journey in Revelation of Qur'an series (http://www.noora1.com/jewels_of_quran.htm) provides a guide on the first few surahs which were revealed - please listen to it for a step by step guide.